Emil Hartoonian’s family came to California almost 40 years ago in search of better opportunities. 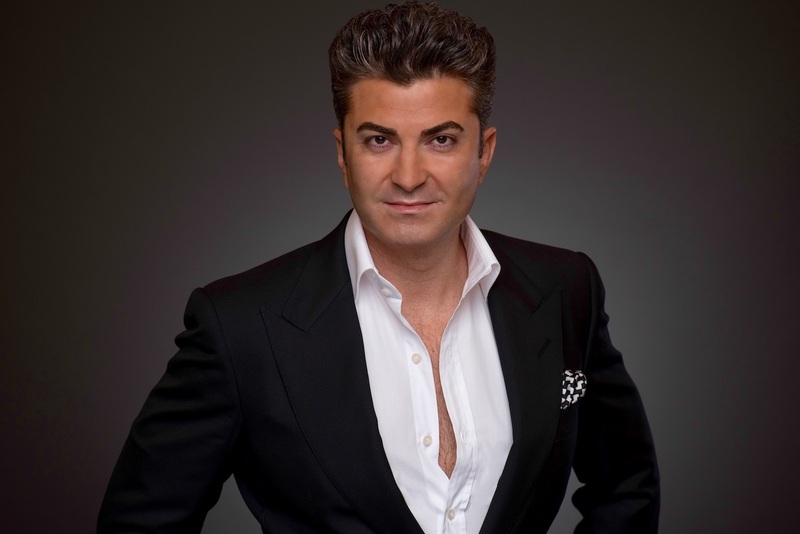 A talent for negotiating brought Hartoonian to USC, and a love of architecture and design brought him to the real estate industry, following a successful stint in the automotive world. Paramount to Hartoonian’s business philosophy is creating an unforgettable experience for the customer and fostering lasting relationships. We recently caught up with Hartoonian to talk about the importance of the customer experience in real estate transactions and how he plans on raising the bar for customer service in his new role at The Agency. BuzzBuzzNews: What brought you to California? Emil Hartoonian: My family saw better opportunities in business in the US and decided to settle in Los Angeles back in 1980. BBN: How was your experience at USC? What was your area of concentration? EH: I absolutely loved USC and had the best experience while studying there. I majored in English Literature. I’ve always had a love of the arts and language. I also completed a minor in political science with a concentration in negotiations. BBN: What made you shift gears from the automotive industry to go into real estate? EH: While I did really well in the automotive business, mostly on the corporate and retail end, I had one foot in real estate with my natural gravitation towards architecture and home design. I also had a penchant for dealmaking. And, of course, the gratification of helping people with the largest sale of their lives was a big lure as well. BBN: How has your approach to clients changed from working in the mortgage field to being a broker? EH: Being involved in the front-end of the deal, that is working directly with buyers and sellers, has been the best experience for me. I really enjoy being able to adapt to a family’s changing needs and wants, as well as being able to foresee potential complications. That has been very rewarding — not to mention creating deep bonds with clients. BBN: What made you want to focus on the California real estate market, and specifically the Calabasas and Hidden Hills communities — what makes them unique and excites you as a broker? EH: What excited me is the sense of community in the Calabasas and Hidden Hills areas, so much so that I moved my own family to the neighborhood as well. The community really is about putting down roots and that’s been a real driving force for security and safety, as well as creating our wonderful schools. And, being both a parent and resident enables me to offer potential clients a first-hand perspective on what to look for and expect. BBN: Your business philosophy is very customer experience driven, in some ways not unlike Sotheby’s International Realty’s — where you were formerly employed. How did your tenure there shape (or reshape) your view of the customer experience in real estate? EH: It was a great learning environment and provided me with much-needed insight into the history and development of the areas. This insight is what has continued to develop throughout my career and made me so customer service-centric. The basis of any real estate deal should be about the customer experience and it is solely up to the agent to manage that experience. This was also one of the reasons I transitioned to The Agency, to change the customer experience in an industry that had gone stagnant in regards to improving that process for the consumer. BBN: Was it difficult to transition from a company with a historic brand like Sotheby’s to The Agency? What inspired your decision? EH: The transition was welcomed from all my past and present clients. I remember discussing the move with all my top clients before actually making the transition. Most of my clients had heard of the Beverly Hills company and letting them know I would be opening the new office in Calabasas for the brand and running it was met with open arms. The inspiration was right there — my own clients were telling me that this was a beautiful fit for me and were excited to see what I could do to help The Agency elevate the growing brands of Calabasas and Hidden Hills. It’s been an extraordinary journey. BBN: What goals have you set for yourself at The Agency? EH: One of my primary goals is for our office to carry ourselves differently as we represent this ultimate real estate brand. Upholding the ‘no assholes’ policy is very close to my heart. Many people in the industry govern themselves with an ego, and I wanted to bring the amazing culture that The Agency built in Beverly Hills to Calabasas. I also wanted to foster the energy of collaboration and open communication, and ethically manage clients and transactions. BBN: No two transactions are alike, nor are two clients alike. What specific challenges do you face working with high-profile celebrity clients compared to CEOs and high-level executives? EH: Each deal will have its own challenges and barriers to work through. Celebrity clients and high level executives and CEOs share the demand of time in their daily life. You can’t afford to waste a single minute when you have time deliberately allocated for them — whether that purpose is to see new homes, conduct a walk through, or review paperwork. You have to be prepared because missing something as simple as a signature can take additional time from your client to remedy. It’s important to get it right the first time and stay on point. Celebrity clients have a lot of say with whom they choose to work with, and business managers who tend to their finances. The overall time you spend with a celebrity client directly is very limited. Most of the work is done behind the scenes with their management team. Dealing with an executive involves more direct interaction with the client on the day-to-day specifics of the deal. Time is still a factor and it’s an artful craft to ensure it is used properly and efficiently. There are never enough hours in the day as it is, and managing such large-scale transactions for these clients always requires extra attention. BBN: Many California markets are white-hot with demand and pricing heavily outpacing supply in some areas. What changes and challenges are you seeing in your markets? EH: We are experiencing the same rise in demand and pricing like the general Los Angeles market, but more so due to outside buyers being drawn to the special lifestyle offered here. Most new buyers are coming to the Calabasas and Hidden Hills markets because they value privacy, a gated community, quality city and community amenities. There’s no traffic congestion and it’s still local to all desired destinations, i.e. 15 minutes to Malibu, 30 minutes to Beverly Hills, 45 minutes to Downtown LA. It’s also a safe place to lay down roots and raise a family. The Calabasas and Hidden Hills destination is continuing to prove an amazing value at a more reasonable growing rate than what one could get in LA, where many buyers are quickly being outpaced. The minor challenge is that much of the inventory throughout most of Los Angeles has yet to be completely updated in the rush of new construction. I have represented some incredible offerings that had been entirely reimagined and found a buyer in near record time. The thrilling opportunity is buying into one of the most notable and luxurious areas that countless high profile individuals and celebrities call home. Buyers have the ability to make any of the potential offerings fully their own by incorporating today’s hottest trends and styles into their homes. It’s super exciting to witness these home transformations and to be a part of them.